Inspired by the forms of a Rubik's cube, this geometric shape rotates endlessly hovering in space. Take your performance to the next level with this video loop, a great asset for your video media teams. 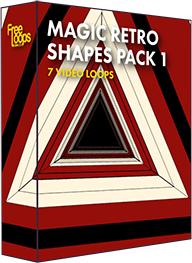 This video loop is part of Magic Retro Shapes Pack 1.